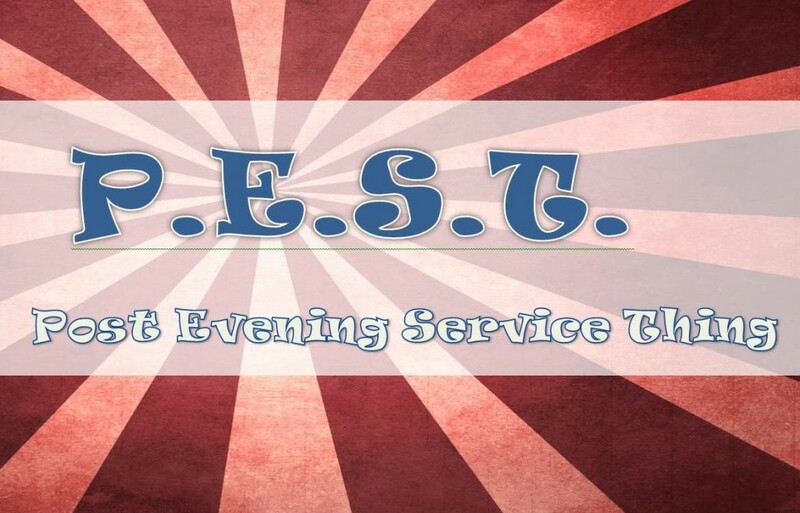 PEST stands for “Post Evening Service Thing.” Once a month we have a special time of fellowship for all those whose children have grown. Immediately after the evening service (usually about 8:15 pm) we meet together in the north basement. This is a wonderful time of fellowship, games, and of course FOOD!